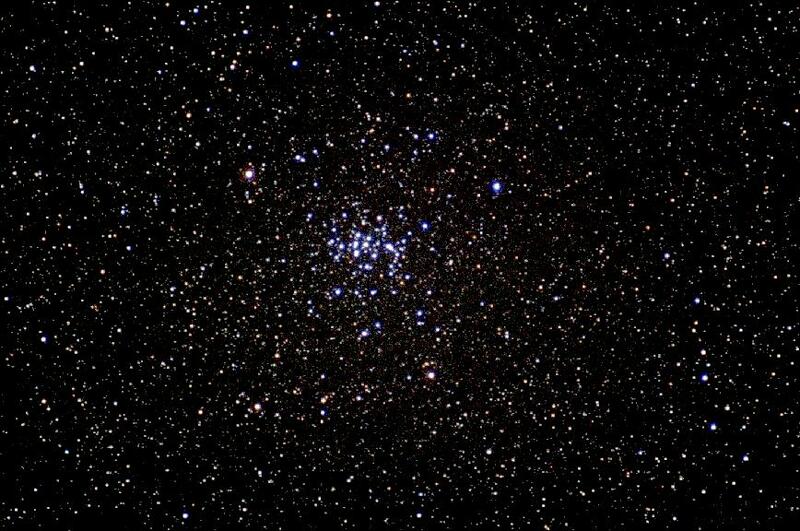 Image of the Praesaepe open cluster (M44) by Sven Kohle and Till Credner of Bonn, Germany, taken on January 4, 1997 at 3:58 UT on La Palma with a 180 mm f/2.8 telephoto lens, exposed 18 minutes on Scotch Chrome 400. The field of view is 7.6 x 11.4 degrees. The image is copyrighted by the observers. 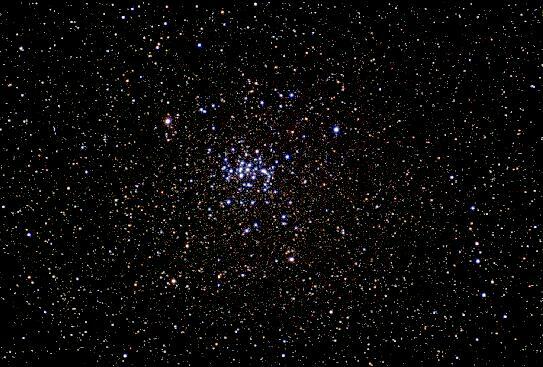 M44, the Beehive CLuster, also known as Praesepe (Latin for manger), is an easy naked eye object more than twice the size across of the full moon, and has thus been noted since prehistoric times. It was one of the first objects on which Galileo trained his newly acquired telescope. 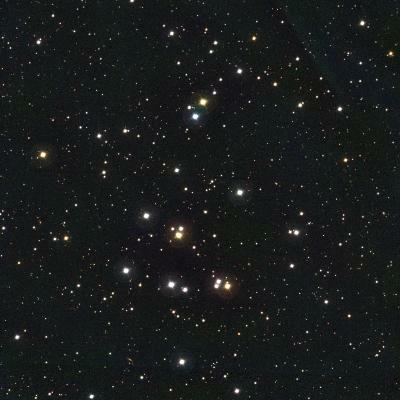 M44 is one of the nearest open clusters, close to 600 light-years away. This approximately true-color picture was created from fifteen images taken in January 1997 using BVR colors, at the Burrell Schmidt telescope of Case Western Reserve University's Warner and Swasey Observatory located on Kitt Peak, near Tucson, Arizona. Image size is 60.9 arc minutes!